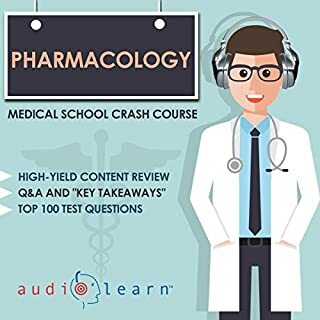 If you want sample questions, answers, and rationales, this audiobook will give you a great feel for what it’s like to get through a residency interview day. Written by two practitioners who have extensive experience with the interview process, you’ll get the nuts and bolts of what it takes to become an exceptional candidate. In interviews, you can’t be ordinary, you must be memorable. Experience is the best teacher. Learn from someone who’s been there. 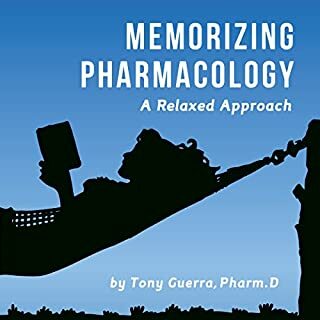 In this book, I share my real-world experiences and scenarios as a clinical pharmacist to help you get a better grasp on medication management. I’ve been acknowledged in the Wall Street Journal, American Journal of Nursing, National Association Directors of Nursing, Pharmacy Times, and Pharmacy Today. My goal is to teach you clinical common sense when it comes to medications. 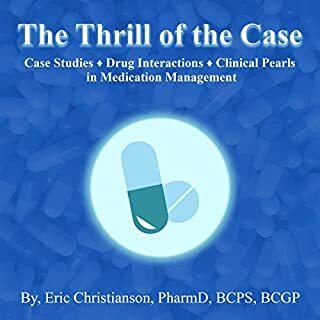 This is a book full of clinical pearls, case studies, and medication mistakes that every healthcare professional involved in medical management should know. 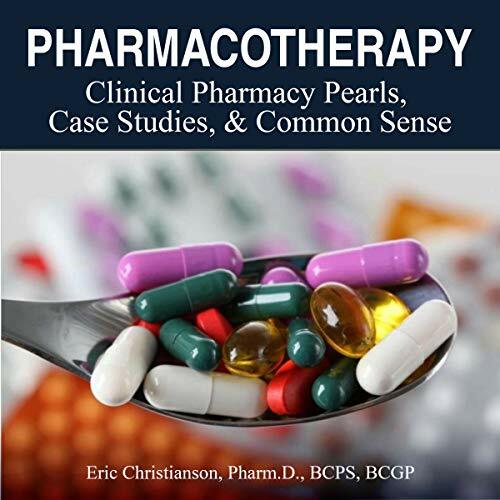 If you’re passionate about learning more about polypharmacy, drug interactions, medication therapy management, and common medication mistakes, you’re going to love this book. If you're listening to this book, you're probably a pharmacy or other health professional student. It seems kind of strange that knowing how much students commute to clinicals that there wasn’t an audiobook earlier. If you want to feel fired up about going into work, this book does a great job of giving you real stories that may remind you why you’re working so hard with a ton of clinical pearls that stick. It’s not a comprehensive book, but definitely a catch up or get ahead book. 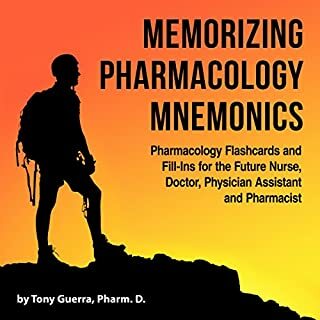 Every pharmacy student ought to own a copy of this book; especially if you are in your last year. I will strongly recommend this book for anyone who has been practicing for years and wants a systematic approach to their patient care. 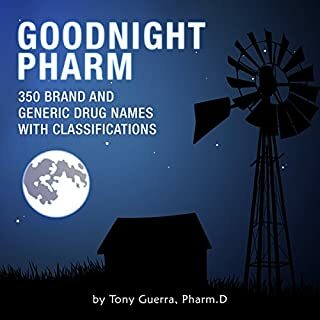 As a medical student looking to brush up my knowledge of real world drug interactions, this audio book was incredibly helpful. It is awesome to hear real life scenarios to get a sense as to how to handle certain situations. Sometimes the cases are a little bit short, but it makes it easier to listen to. Great to learn from real world scenarios instead of the same old textbook memorization. Overall, would strongly recommend this book to all healthcare professions who work with medications. A very thoughtful review of many aspects of pharmacology, hitting on significant drug interactions, lessons learned, and pitfalls to be avoided when dealing with medications. I liked the easy flow of information., it was easy to listen to. It reminded me of the many times that I've come across similar scenarios in my daily pharmacy practice. 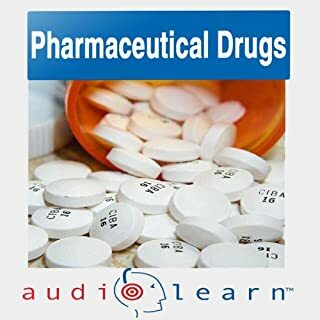 Audio books about pharmacology are great because they help people like me, who are auditory learners. Pharmacology is a dense, complicated subject. Having educated, knowledgeable narrators who can pronounce medication names correctly is quite beneficial. I feel that I can better remember and use the knowledge in this text by listening to the audio. These quick hitting capsules will keep you interested. The content seems appropriate for physicians, middle levels, pharmacists and nurses. Students would also benefit because the format promotes thinking clinically. This book was very insightful and helpful in reviewing what is seen in practice everyday. As a student doing APPEs, I find the material very helpful. This was a helpful resource. It did focus more on geriatrics, but this was understandable as this is the author’s specialty. Thank you!